Q&A with R&A - When should I start planning for retirement? And how do I start? | Rocco & Associates Wealth Management, Inc.
Q&A with R&A - When should I start planning for retirement? And how do I start? When should I start planning for retirement? And how do I start? This is by far the most common question I get from clients of all ages, and the answer is fairly simple; there is never a wrong time to start planning for retirement. Whether you are just out of school and starting to contribute to a 401(k) or a seasoned workforce veteran looking to put a plan in place; thinking about retirement is a good thing. However, do you know how much you need to save to retire confidently? I’m not going to tell you that you need $2 million (or $20 million) because it depends on what you want to do when it is all said and done. Retirement means many different things to different people. For some, retirement is a mythical time where no one works and you get to live every day as if it were your last. To others retirement means slowing down, working fewer hours, spending more time on hobbies and volunteer work; there is no one right answer. Whatever your vision is for your retirement, your planning starts today. What do I need to make sure I can retire? 1) Time. The earlier you start, the better. Make sure you are saving, fun costs money. 2) A budget. Even the biggest savers still need to know what they are spending money on and if that spending is putting you closer or further from the ultimate prize. 3) Patience. Retirement may seem like it is never going to arrive (ironically, the closer it is the worse this feeling gets), but try to think of your retirement savings not as dollars in an account but trips to Europe with the family, home renovations, a new car, or even a simple dinner out with someone you love. Remember, retirement is tangible. 1) Build a plan. The first step is to create a plan for how much you need in retirement and how much you can save every month. The farther you are from retirement the harder your needs will be to quantify. However, you can still calculate what you will be able to save comfortably and then stick to that goal. 2) Have an emergency fund. We tell 100% of our clients that before any investing can occur they need an emergency fund in a fully liquid savings account that will cover 6 months of expenses. Why is an emergency fund so important? 1) It should give you some comfort knowing that you have liquidity if something unexpected happens, and 2) it gives your advisor time to unwind an investment portfolio strategically should you need the money. The worst thing you can do is suddenly need money and have to sell in a down market. 3) Maximize you 401(k) contributions. There is no better way to save for retirement than through a qualified retirement plan at work. Make sure you understand what is being matched and that you are at least meeting the match. After that try to contribute as much as you can comfortably. If you try to put away too much and need the money later you will face a penalty if you are under 59 and a half. If there are questions about cash flow, then start by putting the money into a savings account monthly. If you can manage the lower take home income without having to dip into the savings, then you can start to divert money into your 401(k). These three simple steps will put you on the right path towards retirement. However, while this is a good start, the plan shouldn’t end here. It is important that as you approach retirement you put plans in place to create sustainable cash flow, manage tax implications, and generate the liquidity you need. 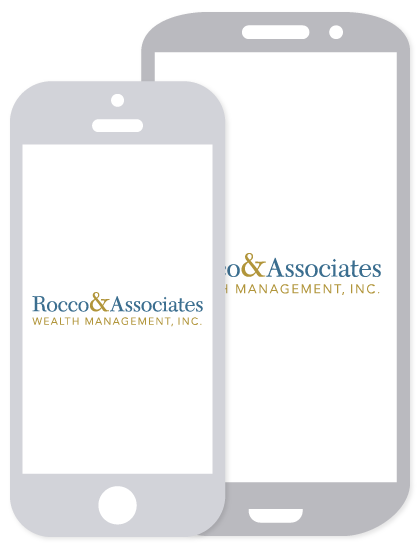 At Rocco & Associates we can help you start, maintain, and finish your plan. If have any further questions about how to begin planning for retirement, don’t hesitate to contact us today!